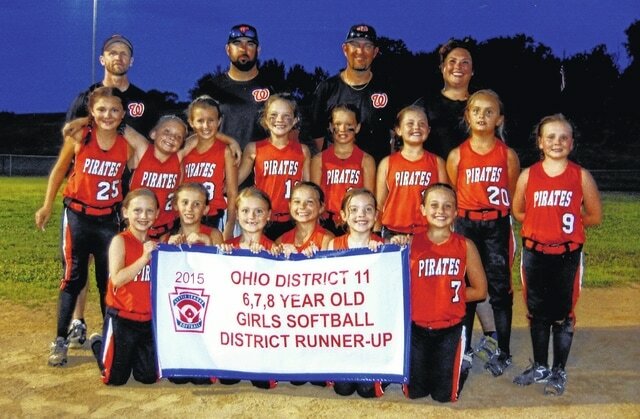 Recently a girls softball team competed in the The Ohio District 11 6,7,8 year old girls softball district championship and came home with the title of runner-up. On the team is Lauren Kaltenbach, Mia Vastine, Laken Wright, Layn Greenhill, Laney Hollback, Shelby Hammond. Ashlee Spence, Haley Myers, Lilli Felts, Emmi Fannin, Catie Boggs, Josalynn Conley, Amber Blevins and Emma Smith. Coaches are Jeremy Kaltenbach, Craig Felts, Jason Smith and Jessie Conley.